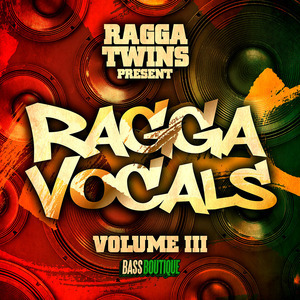 Ragga Twins are back once again for another incendiary selection of pure vocal fire, available exclusively from Bass Boutique. Recorded live and direct in London town, Ragga Vocals 3 unleashes the dynamite Vocal delivery of these master craftsmen in a high octane collection of royalty free tracks. Flinty Badman & Deman Rockers, aka the Ragga Twins have been ripping up sound systems and dancehalls across the globe since the early 1990s. Established as pivotal artists in the UK underground scene, they have earned a reputation as the Kings of the Dancehall by some of the top Jamaican sound systems, unable to compete with the charge and impact of this pioneering duo. Bass Boutique bring you close mic'd acapellas for Dancehall, Trap, Drum & Bass, Glitch Hop, Jungle and more, spitting the sharpest bars you've heard this year from 95 to 175 BPM serving up a full spectrum of Vocal magic.